Many of you have heard Kristina Smekens' explanation for the trait of voice--it's the writer's attitude about the topic. 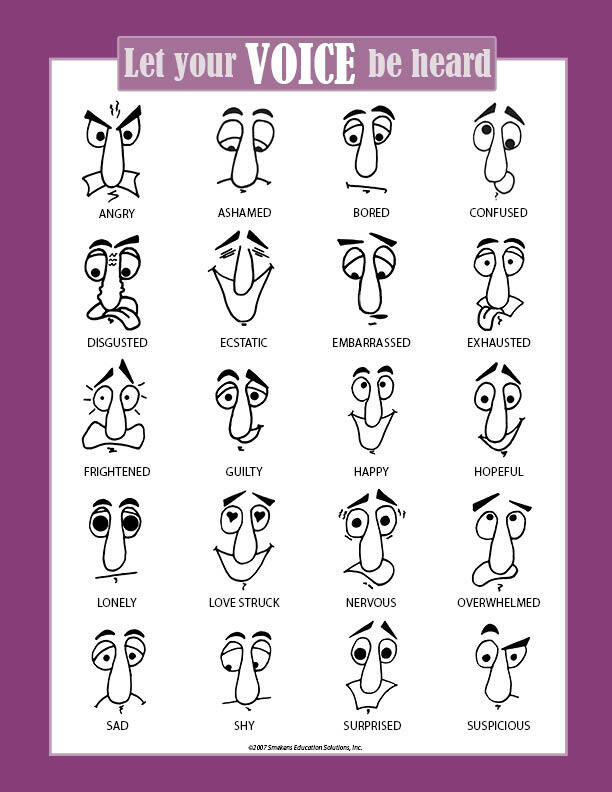 With that said, consider introducing the trait with a "face" icon; play off the idea of facial expressions for attitude and mood. One of our products will help you reveal this to your students more concretely. 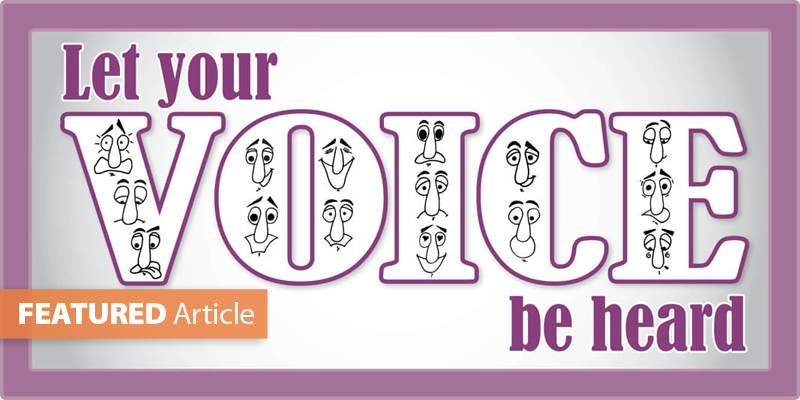 Let Your VOICE Be Heard is an 18x24 inch poster that comes pre-folded for easy storage. 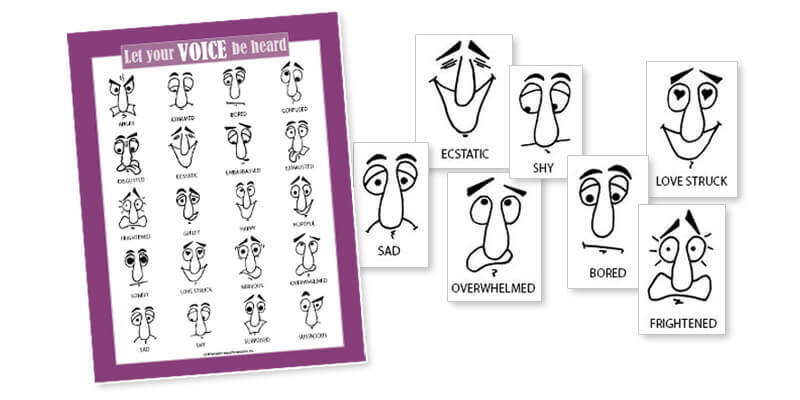 It includes 20 attitudes to help students hone their writers' voice and is a great complement to our original voice icon. Here's a terrific idea from Jordana Anderson (Aylesworth Elementary, Portage, IN) for teaching both voice and word choice. 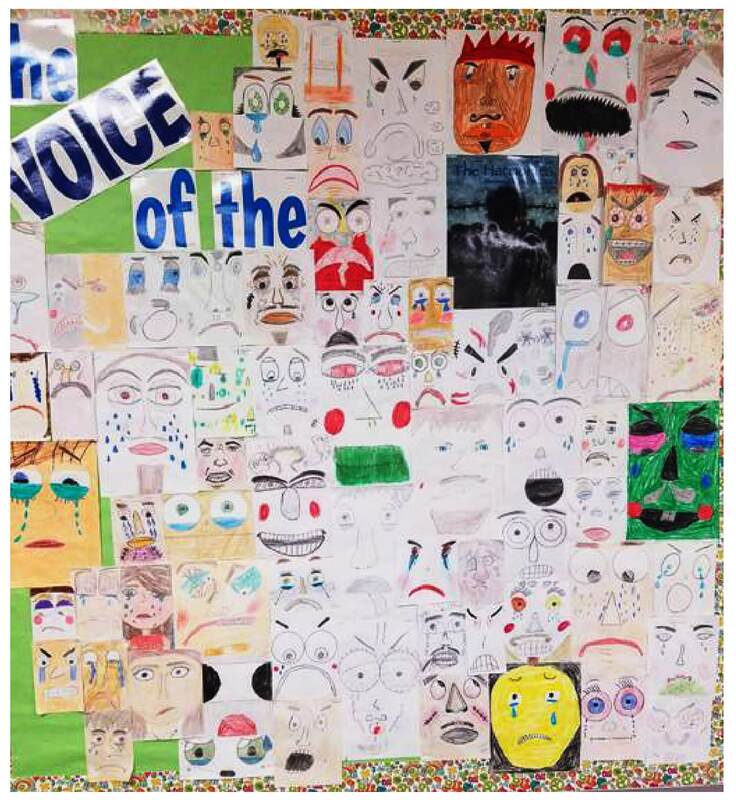 Using the Smekens Education Let Your Voice be Heard poster, Jordana cut out the faces from the poster and then had kids discuss the different feelings associated with each facial expression. Then she challenged students to come up with more descriptive words to describe the face. Take the face labeled "nervous," for example. Jordana told students that in their writing, instead of saying the character is nervous, they should use descriptive words to show nervous. 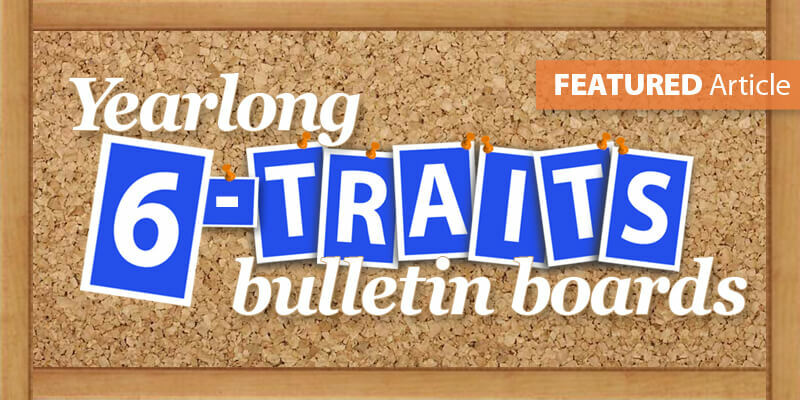 She brainstormed with students for actions that show nervous like biting your nails, twisting your hair, fidgeting, looking at the clock a lot, and so on. After Jordana collected 4-6 "showing details" for each of the feelings facial expressions from the poster, she typed the detail words, taped them to the back side of the faces, laminated them, and placed them into a container she called her "feelings box." Then, when the kids were actually writing, instead of using simple telling words, they were challenged to go to the "feelings box" to find the more appropriate, showing words. It improved their word choice and of course their voice. I made a handout for the kids to put in the back of their journals for reference. We made this a continuation of the Let Your Voice Be Heard activity. We did an activity with VOICE that my students adored. I read The Harmonica to them. First, I read without showing them the cover or any inside illustrations. I then asked them to tell me what they were feeling after the first read. I followed that up by showing them the Let Your Voice Be Heard faces poster, and they became more certain on their descriptions of how they were feeling. We read it a again, this time with the illustrations. I asked them to think about how their feelings changed or how the voice of the story changed. Their general consensus was that they still felt the same way but had deeper, stronger feelings. Mainly feelings of disgust, anger, nervousness, anxiety (because they knew what was coming throughout the story). The activity to go with this was to have them draw a face of voice for the story. They absolutely LOVED this activity and beg to read another book and do it again!